Returning from the beach, a view up to the Kilchoman dunes in the morning haze. 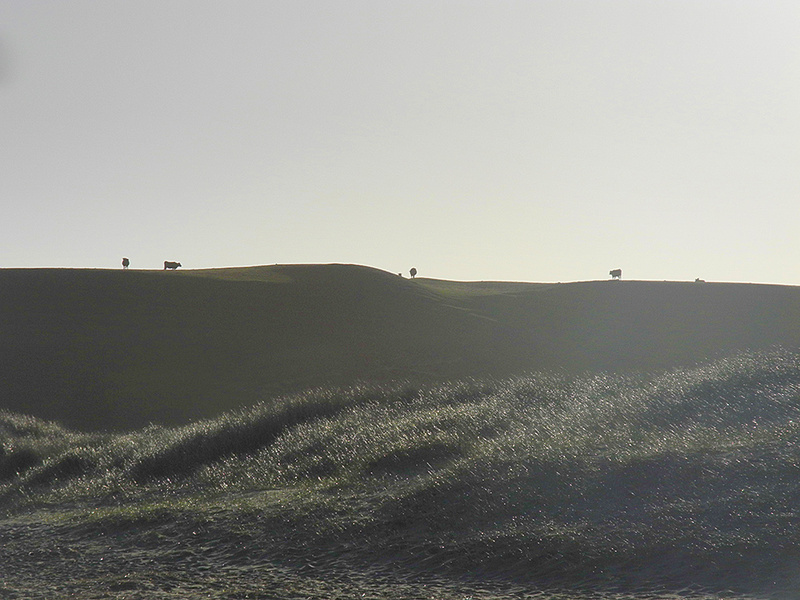 A few cows are grazing at the top of the dunes, their silhouettes standing out against the bright hazy sky. This entry was posted in Landscape, New Post, Sunny Weather and tagged cattle, Islay, Kilchoman, Machir Bay, Rhinns of Islay by Armin Grewe. Bookmark the permalink.